Travelling to or from Abu Dhabi? My Baggage’s convenient and affordable luggage shipping services make transporting your luggage there and back an easy process. In times gone by, shipping unaccompanied baggage overseas used to prove to be a complicated process, not to mention an expensive one. Thankfully, My Baggage offers a cost-effective shipping solution, complete with online tracking and customer support. Abu Dhabi is the capital and second most populous city of the United Arab Emirates. It is also the capital of the Emirate of Abu Dhabi, the largest of the AUE’s seven emirates. It is located on a T-shaped island jutting into the Persian Gulf from the central western coast. Whether you are simply visiting Abu Dhabi on holiday, or perhaps are relocating there with your family or for work – one of your biggest priorities will inevitably be transporting all of your personal belongings there in one piece. Thankfully, with luggage shipping companies like My Baggage, there’s no need to fret about it. We can offer a welcomed, affordable alternative to traditional methods of transportation such as airline baggage and removals. One of the seemingly most convenient ways to transport your luggage overseas is to, of course, carry your baggage on your flight. However, that does mean that you have to keep in mind your airline’s restrictive baggage weight allowance. It could mean that you might have to make the sacrifice that no one wants to make, which is leaving some of your beloved personal belongings behind. And even then, you might still be slapped with extortionate excess baggage charges at the check-in desk. It’s certainly not ideal. If you’re uprooting your life to Abu Dhabi, you might consider hiring a traditional international removals company to transport your belongings. In theory, it’s an ideal choice. Traditional international removals companies are excellent for shipping large, bulky items such as sofas, beds and even your car. However, if you’re on a strict budget and a tight timescale, you might find the cost and transit times don’t align with your needs. My Baggage provides a new approach to transporting excess baggage overseas. With us, you can wave goodbye to expensive airline baggage fees and out-of-budget removals. We strive to provide a convenient service that you know you can trust, and that won’t break the bank. We ship to all address in Abu Dhabi and to over 200 countries worldwide. My Baggage’s convenient luggage shipping services are open to everyone! Whether you are a personal user, travelling to Abu Dhabi to study abroad or to simply enjoy a holiday, or whether you’re a business user. No matter your reason, you can take advantage of our competitive pricing and door to door shipping services, to save money whilst you travel. 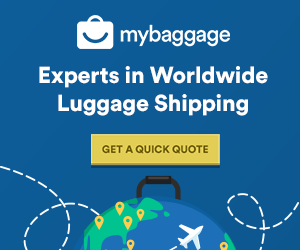 My Baggage provides the ultimate convenience when it comes to shipping luggage internationally. We provide a fully door to door collection and delivery service, which means there’s no need for you to drop your items off, nor will you be required to collect them at the destination. We will collect and deliver straight to the addresses you provide. When you book with My Baggage, you will be given access to full online tracking information to allow you to monitor the progress of your shipment from the collection right up until the delivery. You’ll also be able to opt-in for text and email notifications on the go. If, at any time, you have any questions or concerns about your shipment, our dedicated customer support team will be on hand to assist in every way that they can. Thanks to many years of experience in the field of logistics, our team are experts when it comes to shipping excess baggage all over the world. Contact us via phone, email and live chat. At My Baggage, we strive to keep our luggage shipping prices as low as possible. In fact, booking your luggage shipment with us is up to 80% cheaper than booking with the courier directly. We also offer value for money. You can also send as many items as you like.